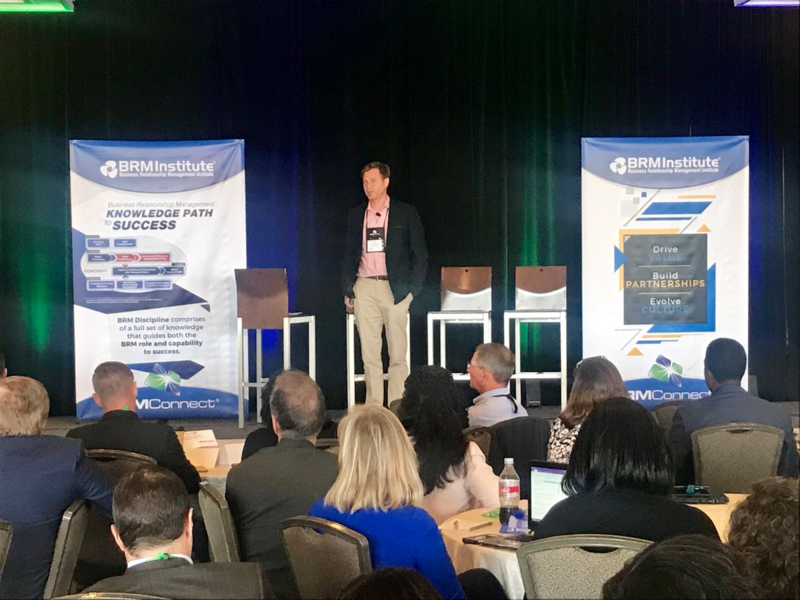 This morning, Jim Brusnahan outlined one of the main BRMConnect 2018 themes. In his presentation on the Mindset of a Leader, Jim chose to avoid the traditional hype element of a keynote and instead dove deep into our psyches. Drawing on his own experiences and trainings, his presentation inspired reflection and revelation. One of the most powerful portions of Jim’s presentation focused on the ownership vs. victim mentality. We’ve all been there; an organizational change suddenly puts you directly in the path of someone challenging. Whether it’s a personality conflict, a communication style or just plain malice, they keep you from succeeding at something. Or do they? If the answer is “yes” (and it almost always is), chances are you’re allowing your ego to hang out in the victim mentality, instead of the ownership mentality. You’ll never be able to control external factors. All you can control is you. Great leaders know this, and they cultivate shared ownership to create radical changes within their organizations. Ultimately, leaders recognize that temporary emotional boosts to morale fade after a few days or weeks. It’s not enough to be a cheerleader; you must be a thought leader! Thought leaders inspire their peers and partners to discover their purpose and to understand how that purpose fits within the scope of their organization and society. Emotional elevation built on pillars of purpose and shared ownership persist and become further fortified over time. Use our Twitter feed to stay updated on the conference, and to learn about great leadership techniques like those mentioned above.